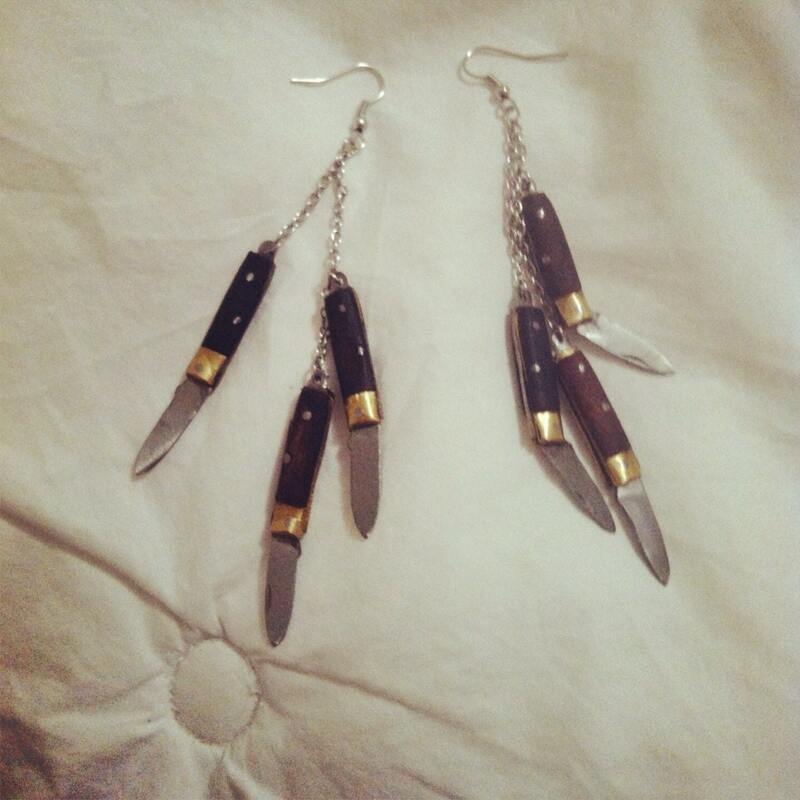 Knives Earrings by TinyThunder9 on Etsy. My friend Phoebe Moore makes these. They are fashionable and deadly, both.